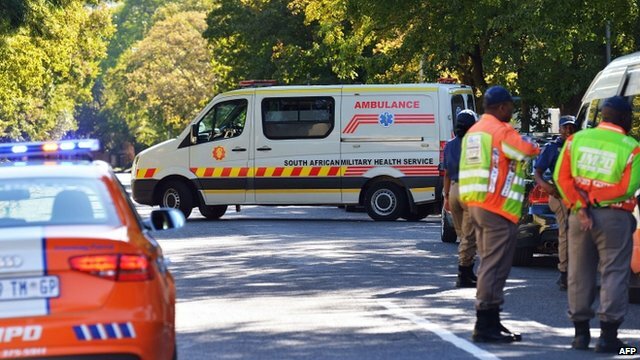 Mandela admitted to hospital Jump to media player Nelson Mandela has been admitted to hospital with a lung infection, the office of South African President Jacob Zuma says. Mandela spends first day at home Jump to media player Nelson Mandela is spending his first day back at his home in Johannesburg after being discharged from hospital, where he had been treated for pneumonia. Mandela discharged from hospital Jump to media player Nelson Mandela has been discharged from hospital after treatment for pneumonia, South Africa's government has said. Joy in SA as Mandela discharged Jump to media player Former South African President Nelson Mandela has been discharged from hospital after treatment for pneumonia, the government has announced. 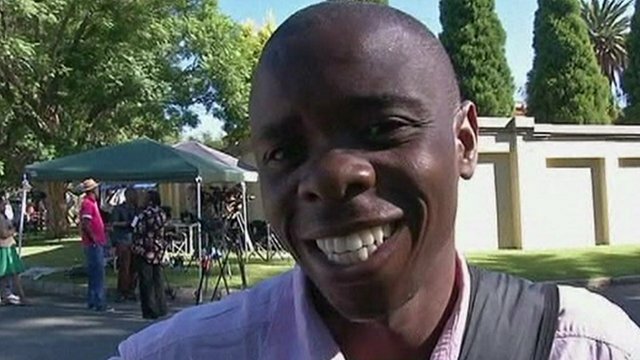 'We are praying for Mandela' Jump to media player Churches across South Africa are to hold prayers for Nelson Mandela, who has been in hospital for four days being treated for pneumonia. 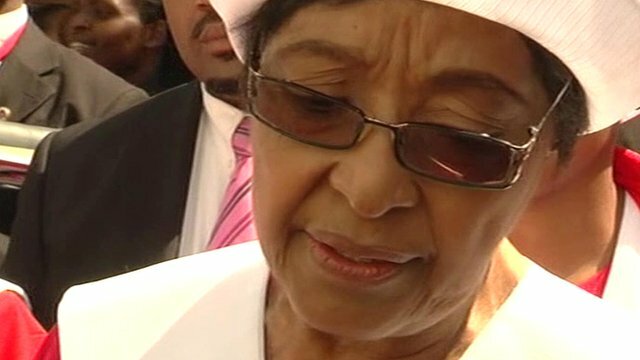 Winnie 'humbled' by Mandela well-wishers Jump to media player Winnie Mandela has said she is "extremely touched" by the concern shown over the health of her ex-husband Nelson Mandela, who is spending a third day in a South African hospital with a lung infection. 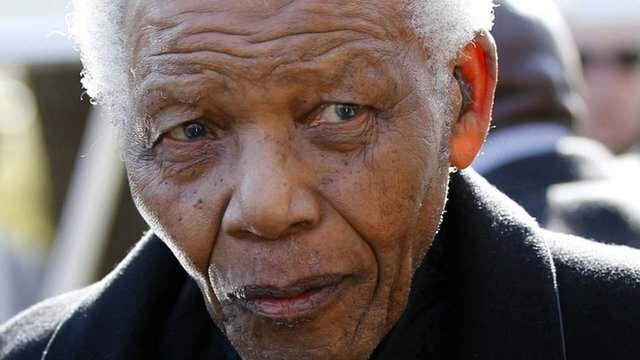 Mr Mandela, who is 94, spent 10 days in hospital three months ago after developing pneumonia. 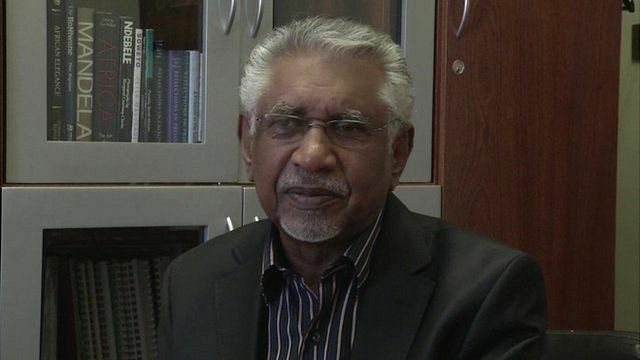 The South African Presidential spokesman Mac Maharaj gave an update on his condition.